Photo ink for ink-jet printers is presented on this page. The dye of this type lets print photos and colour images in the highest quality. Photo ink gives bright and saturated colours to the printings. In this section you can choose and buy ink for refillable cartridges and continuous ink supply systems. Water-soluble ink lets produce bright photos with vivid colour shades and an excellent colour rendering. Such type of dye can be chosen by amateur and professional photographers. As a rule, photo ink is ordered by those users who often print (or are going to print) a lot of photos. This type of ink attracts with its price as well. 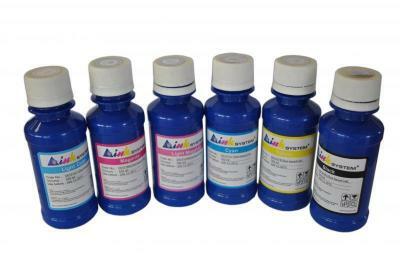 Jars with water-soluble ink have quite a moderate price that is why with their help you can save on printing even more. But what is worth to mention, the print quality does not change. In terms of consistence photo ink represents a mixture of liquids, a solution. Liquid dye is mixed up with a liquid solvent (water). Water-soluble ink doesnвЂ™t include any hard particles or grains. Thanks to this, high-quality photos are obtained. Water-based ink copes with the printing of colour images better than, for example, pigment ink or a toner of a laser printer. While printing the drops of dye are sprayed and mixed with each other, so, subtle colour gradations are formed. A unique formula and well thought-out composition of photo ink guarantee bright colours and an excellent colour rendering. Also offer cheap wireless printer Kentucky. Photo ink of INKSYSTEM trademark is manufactured on a modern South Korean plant. While the manufacturing the latest technological achievements are used. High-qualitative photo ink is compatible with almost all models of ink-jet printing devices presented on the market. 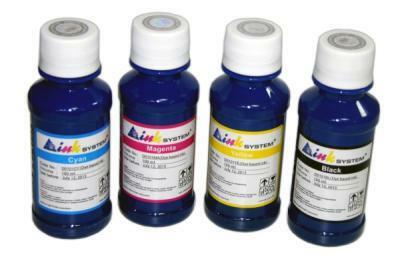 You may buy this type of dye for printers and MFP from Epson, Canon, as well as HP and Brother. 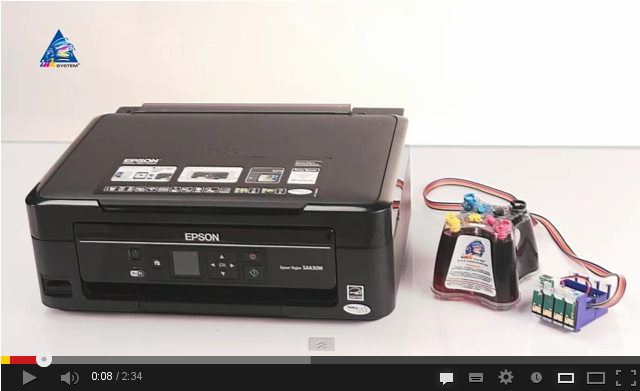 Water-soluble ink not only suits the printing devices perfectly, but also keeps their operability. Thanks to such dye, a printing head will not dry up even after three months of standstill. By the way, has been available RC Printer Vermont. You may buy photo-ink with the help of our online store. Every set has quite a moderate price, so, many users can afford printing colourful photos. Thanks to water-based ink, which CISS or compatible cartridges are filled with, you can forget about expensive ink-jet printing. Everyone can print high-qualitative colour images for a minimal cost price. 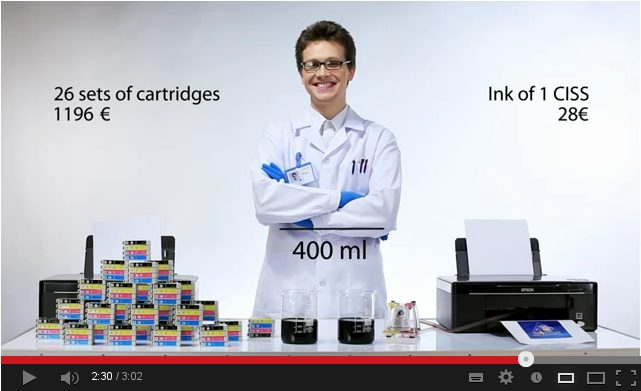 That is why continuous ink supply systems, filled with photo ink are competitive with original consumables. A low price, good colour rendering and free colour profile - photo ink from INKSYSTEM company will care about a perfect print quality and saving of a userвЂ™s budget. We also offer inkjet pigment ink Florida. You can choose photo ink in the most suitable for you packaging arrangement вЂ“ in a set or in separate jars with necessary colours. You may purchase sets of ink in jars of different capacity. Choose what satisfies your personal printing needs. The dye is compatible with almost any model of an ink-jet printing device presented on the market. You may buy photo ink with the help of online order: press the вЂњbuyвЂќ button and fill in the form that appears to your eyes. Then our managers will contact you and specify the details of your order. Moreover, you can buy any products at usual stores from regional representatives of INKSYSTEM company. We are also ready to offer you pigment ink for text printing, sublimation ink for advertising needs as well as ultra chrome ink for professional printing. Also check out sublimation printing ink.